What does Rainbow 6: Siege need to make it as an esport? Ubisoft Montreal on bugs, the meta, and maturing the scene. Rainbow Six: Siege crowned its season one champions earlier in the month as dominant European team PENTA Sports swept through the finals. As PENTA captain Rainer “S4i” Kneidl lifted the cup in the ESL’s Cologne studios having defeated Finnish finalists GiFu, Ubisoft were already kicking off season two. Since the beginning of the project, Ubisoft have hoped that Siege would gain traction as an esport. This goal has had a widespread influence on its design. Siege began life as a competitive multiplayer shooter under the code name Unbreakable, tasked with reviving Rainbow Six. The game was always intended to create a worldwide competitive community of players and spectators. When a game is very young, there are still a lot of teams dropping in and dropping out. Developing a game specifically with esports in mind goes against many of the tenets set out in countless GDC talks and developer post-mortems. ‘Community is king’ is the accepted wisdom, and one which Rémy still agrees with, despite putting the cart before the horse with Siege. But he is realistic about the needs of the community and what the game has to do in order to meet them. In the first match of the semi-finals, as PENTA Sports faced off against American second seed VwS Gaming, a bug brought everything to a halt. The attacking team’s Sledge, using his eponymous hammer, failed to break through a window to gain entrance to the upper floor on House. It was probably the first time an esports schedule has been held up due to Windows not breaking. Rémy’s words on maturity are resonant in the aftermath of a series of cheating allegations against a former member of VwS. Philip “Clever” Lough stepped down from active duty with the American side citing a new job as the reason, but not before being embroiled in a scandal damaging his own and Siege’s reputation. Fellow professional players in the American league suggested Lough was using a second monitor with a type of wall hack installed to pinpoint enemy positions. 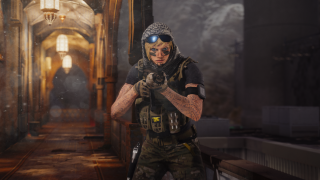 Despite Ubisoft’s proprietary FairFight anti-cheat and ESL’s own MOSS monitor-recording measures failing to show a second monitor, allegations persisted in the community. The cheats themselves remain readily available and the spectre of a professional using them at the highest level of play is lingering. In similar games with thriving pro scenes, like Valve’s CS:GO, in-client replays offer the volunteers of community anti-cheat service Overwatch (unrelated to the upcoming Blizzard game) the tools they need to make an informed decision. In Unbreakable’s prototyping period, developer matches played on a textureless early version of the game used scripted destructible environments. The decision to move to entirely player-controlled demolition is one of the design elements of Siege which provides such a high skill ceiling. For Rémy, the ability to watch a replay of a match isn’t just necessary for keeping cheats in check, it’s also a tool for learning and advancing the meta. In-game match spectating also opens up a key avenue of opportunity for esports. Dropping into the parlance of Dota betrays Rémy’s influences and ideals of what makes for a good esport (as does the Dota logo on his jacket). MOBA design has informed Siege’s critical decisions, including unique per-player operator choices and some of the spectator camera angles. While not everyone will be as happy as PENTA about the end of Siege’s debut competitive season, Ubisoft have reason to be optimistic—even though they have some work to do to combat hacking and encourage player integrity. But if the deliberate approach Rémy takes is shared throughout Ubisoft Montreal, I wouldn’t put it past a game like Siege to break into esports—even if it takes a prolonged assault.